4th and 5th grade students at Westside Elementary School in Rogers participated in stormwater runoff pollution prevention last year. 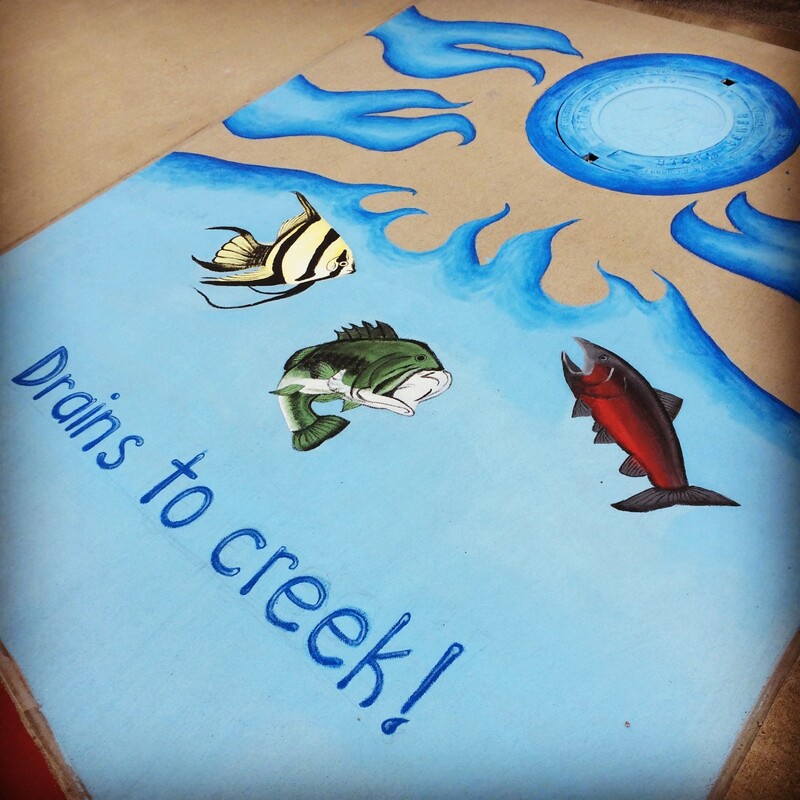 Afterwards, they submitted designs for a new storm drain mural to be placed on their campus. Art teacher, Amanda Funkhouse took elements from several designs and painted the mural below during the summer. Thanks to Westside for helping educate our kids on how to keep water clean! ← Free car wash sweepstakes!